SEATS ARE LIMITED AND COURSE SELLS OUT REGULARLY! All Cognac is brandy, but not all brandy is Cognac! Cognac is the original brandy and still to this day the most revered and historical distillate of wine. A legendary spirit with centuries of history. First and foremost, Cognac is a place. It is a town in the Charente department of southwestern France, and the distinct climate, soils, culture, and history of the surrounding area are expressed in the spirit that’s made here. Today, both within the fine-dining, alcoholic beverage industries and pop-culture, Cognac has regained all of its past glory. The styles, versatility, applications and personalities of Cognac are immensely varied and its production method considered one of the most artisanal and crafted in the world of spirits. In this 3.5-hour course, we will cover Cognac’s history, production, and ways to enjoy it, including food pairing. We will taste a selection of 9 (nine) Cognacs that will illustrate a variety of terroirs, styles, tiers and aging categories. The course will also feature a series of small bites to showcase pairing applications. The instructor, Irina Ponomarenko, is an official Cognac Educator, certified by the BNIC (Bureau National Interprofessionnel du Cognac). Presenter: Irina Ponomarenko, Certified Cognac Educator, WSA/NASA Silver-Pin Certified Sommelier, Master Taster. Participants will receive a ‘certificate of attendance’ issued by the North American Sommelier Association in conjunction with the BNIC (official Cognac Bureau). Irina recently returned from Cognac where she was among a select group of educators training for the Cognac Educator Certificate. Irina has been an instructor with the North American Sommelier Association since 2013. She teaches a variety of courses, including the spirits module of the Certified Sommelier curriculum. * REFUND & CANCELLATION POLICY : *Enrollment fee non-refundable upon cancellation by student - course credit will be retained for future use. Salento is called the “heel” of Italy because of its shape: it is a beautiful strip of land, bathed by two seas, the Ionian and the Adriatic, a door straight on the Balkans, Greece and south-eastern Europe. Land of border, where everything ends and at the same time can start. By destiny and by agricultural vocation, Salento is also the mother land of the wine civilization, because, as the local farmers say, wine in Salento is as old as man and his agriculture. Altitude and composition of the soils, exposure and solar irradiation, thermal excursions and ventilation, these characteristics make of Salento an incredible diverse wine region, expressing several microclimatic and terroirs, changing within a few kilometres. The cultivation of the vine, in these areas, located at the center of the Mediterranean, has crossed all the ages, from the Greeks to the Romans, to go to Longobards and Byzantines, and then Normans, Angevins and Aragonese, and reach up to our time with stunning, powerful wines. Reds can be the intense and brooding made of Negramaro, or brilliant and vibrant, made of Primitivo or the indigenous Susumaniello. Because Puglia and Salento are, above all, lands of reds and rosés (rosati), sometimes even big and unforgettable ones. Wines with character. Today Salento shows the potential to become a symbol of the new frontier of Southern Italian quality enology. Two facts plays a big role in the quality viticulture of this area: ancient tradition in the cultivation of the vine on one side and perfect climatic conditions on the other. And then again, the proximity of the sea, an added value able to mitigate the effects of a hot climate and to give the wines that complexity (and elegance) that makes them truly unique, expressive of a truly unique “Salento identity”. Come and discover more about this underrated wine region. Meet in person some of Salento producers! COST: FREE FOR TRADE (credentials required) or CURRENT NASA MEMBERS - Renew your membership here ! Please RSPV, limited number of seats available ! 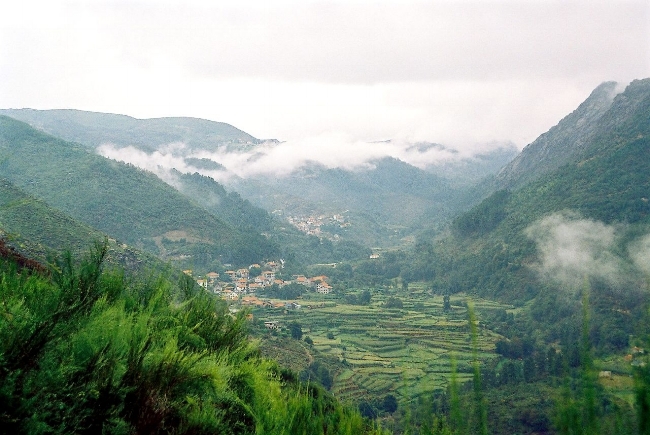 Vinho Verde is the biggest DOC of Portugal, up in the cool, rainy, verdant north west. Vibrant freshness, lightness and aromatic and flavorful expressions, are the characteristics that define and differentiate Vinho Verde that has steadily become more & more popular in the United States market. Affordable, over-delivering, fresh, versatile in pairing, vibrant, thirst-quenching and mineral...this wine is as unique as it is mandatory in any complete cellar or wine program. Learn all there is to know about Vinho Verde! The seminar & tasting will give you an insight on the natural conditions of the region, covering the several micro-climates, terroir, winemaking practices and unique indigenous grape varieties utilized as well as the typical and various examples of this splendidly jovial white wine. An guided tasting of a great selection of the best examples will be executed. Find out the truth behind Portugal's fastest growing export ! COST: FREE FOR MEMBERS & TRADE ! WHEN: Monday JUEN 4th, 2018 - 9:00 am to 4:00 pm (one hour break for lunch). WHEN: 2018 APR 21st & 22nd – 10:00am to 5:00pm with break. WHEN: Saturday April 21st, 2018 - 9:00 am to 4:00 pm (one hour break for lunch). One of the unique and historical characteristics of this commanding wine region is the quality 'classification' of its left bank (Medoc) wineries. Most of us are well aware of the famous 1855 classification that divided the wineries into a 'Grand Cru' scale of 1 to 5 and how unreachable the 5 top Chateaux are in price...but how about the wineries that were NOT classified in 1855 ? The ones that were born after, or perhaps never made the cut back then but today make fabulous wines at accessible prices ? JOIN US FOR AN IN DEPTH OVERVIEW SEMINAR OF THE MEDOC DISTRICT OF BORDEAUX, THE 'CRU BOURGEOIS' ORGANIZATION & CLASSIFICATION & TECHNICAL TASTING OF SOME OF THE FINEST EXAMPLES OF 'CRU BOURGEOIS' BORDEAUX WINES, TOGETHER WITH CRUS BOURGEOIS DU MEDOC BRAND AMBASSADOR FOR THE USA, BRINDA BOURHIS (WINEVOX) AND CERTIFIED BORDEAUX WINE EDUCATOR, NASA VICE PRESIDENT, DIEGO MERAVIGLIA. "Terroir" (French pronunciation: [tɛʁwaʁ] from terre, "land") is the set of all environmental factors that affect a crop's epigenetic qualities, when the crop is grown in a specific habitat. Collectively, these environmental characteristics are said to have a character; terroir refers also to this character. BEYOND THE STARS...an exclusive guided tasting of Dom Pérignon's finest. "Brothers come quickly ! I'm drinking stars !" was the exclamation uttered by father Dom Pérignon as he discovered bubbles in wine. A fluke, a coincidence of nature dictated by the extreme Northern location of the Champagne region causing stuck fermentations due to cold. He spent the rest of his life, 47 years, battling, studying, exploring, analyzing and comprehending this phenomenon. In 1668 Dom Pierre Pérignon, a monk, is nominated curator of the abbey of Hautvillers. He was in charge of managing the supplies of this holy place and set out to improve and renovate the vineyards and wine the abbey produced. As a Benedictine monk, he followed the rule of St.Benedict...the strive for perfection and discipline; he left nothing to chance. He set out to make "the best wine in the world" and single handedly set the base for what Champagne and any 'classical method' sparkling wine is today. He invented techniques, methodologies and concepts that revolutionized wine forever. A cuvée de prestige is a proprietary Champagne label that is considered to be the top of a producer's range. Famous examples include Louis Roederer's Cristal, Laurent-Perrier's Grand Siècle, Dom Pérignon, Duval-Leroy's Cuvée Femme, Armand de Brignac Gold Brut, and Pol Roger's Cuvée Sir Winston Churchill, Ruinart's 'Dom Ruinart' & KRUG's 'Grande Cuvée'. The original prestige cuvée was indeed Moët & Chandon's 'Dom Pérignon', launched in 1936 with the 1921 vintage. Until then, Champagne houses produced different cuvées of varying quality, but a top-of-the-range wine produced to the highest standards (and priced accordingly) was a new idea. In the last three decades of the 20th century, most Champagne houses followed these with their own prestige cuvées, often named after notable people with a link to that producer and presented in non-standard bottle shapes (following Dom Pérignon's lead with its 18th-century revival design). These are indeed...the BEST SPARKLING WINES IN THE WORLD. - Dom Pérignon Blanc vintage 2009, Dom Pérignon Rose' Vintage 2005, Dom Pérignon P2 vintage 2000, Dom Pérignon Rose' P2 vintage 1995, + a surprise old vintage (direct comparison to P2). * Please note: This complimentary seminar and tasting is reserved for industry only (buyers or press) ! Capacity is set to 24 and credentials will be checked prior to confirmation of seat. 2. Please enter as GUEST - you may need to switch browsers, install FLASH or Adobe Connect Add-In. We recommend a test. 3. A PDF of the slides will be sent the day before the seminar. This webinar will be recorded; the link will be online soon after the webinar. Campania has been recognized since Roman times as a fruitful land for its culture, history, traditions - and definitely for winemaking. Ancient viticulture methods, modern technology, both Etruscan and Roman traditions together with the immense wealth of native grapes and diverse terroirs make it one of Italy’s most intricate and interesting wine regions. Discover the amazing beauty of Campania, from Irpinia to the Amalfi coast, via the Phlegreian fields and Mount Vesuvius. Presenter: Ciro Pirone, Director of Italian Wines for Horizon Beverage Company, NASA Boston Chapter Delegate and Instructor. Ciro is a graduate of the Istituto Alberghiero (Hotel and Restaurant Management school) of Salerno, Italy and a NASA Certified Italian Wine Specialist, with honors. Who: NASA members, guests, trade, our partners. 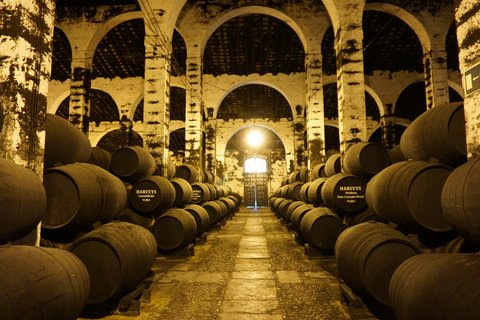 The wines of Jerez have been made for export since the times of the Roman Empire. Magellan, in preparation for his trip around the world, spent more money on wine than any other supplies. His entire wine supply came from Jerez, so Sherry has been traveling around the globe for half a millennium. Perhaps this is what makes Sherry such a versatile wine when it comes to pairing it with food. In our webinar, we will briefly review where Sherry comes from and how it is made, and then focus on the palette of Sherry styles and matching them with food. Irina Ponomarenko is a WSA/NASA Silver Pin Sommelier. She is a Master Taster and Instructor for NASA, with a passion for and specialization in spirits and fortified wines. 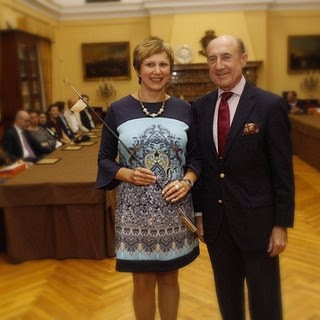 Irina recently traveled to Jerez for the Sherry Educator program; she is pictured here receiving her certification from the Consejo Regulador. Italy is currently the #1 wine exporting and producing country in the world, as well as the most imported wine into the United States. 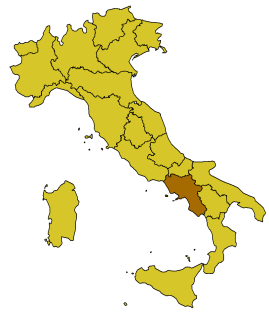 Italy produces a wide variety of wines, from a wide variety of grapes, most of which are not widely grown outside of Italy. This 3-part (9-hour) course is designed to introduce you to the wines, teach you about the labeling and classification system in Italy, and offer serving and pairing tips about the wines. Designed in partnership with the North American Sommelier Association and taught by an Italian sommelier (certified by AIS, the Italian Sommelier Association), the Italian Wine Essentials course will touch on the major wines of Italy from the north to the south, including Sicily and Sardinia. It is designed for those who want to know more about Italian wines, particularly those they might find on the shelves of their local wine merchant, but who are not ready for a significant investment of time or money. This class may be used as a stepping stone towards a more rigorous certification, or as a stand-alone. Certificates of completion will be awarded for full attendance. There is no book, and no exam. WEBINAR : Rioja DOCa...Tradition & Modernity. 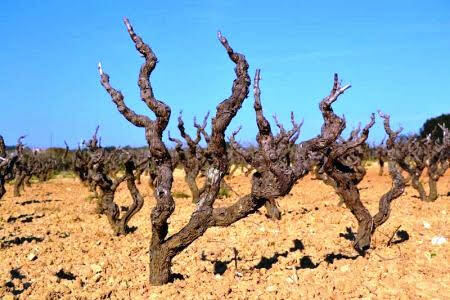 There is a lot of discussion, and some controversy, about traditional and modern Rioja wines. There are camps of people who avoid oak-aged wines, those who clamor only for the old-school methods of extended oak aging, terroir-obsessed drinkers, those who want to blow the appellation rules apart. Let us take 30 minutes to deconstruct the traditional and modern wines, how to tell them apart, find the styles of Rioja that you love, and identify as professionals how to recommend these Rioja styles to friends and customers. Presenter: Nina Sventitsky, Certified Rioja Educator, Vice President North American Sommelier Association. Nina is currently the Western Regional Manager for the Rioja USA Trade Campaign - and is also one of the first of three Certified Rioja Educators. She presents the Rioja Master certification, and developed and teaches the American Wine Specialist® certification for NASA. Notes of the presentation will be available the day before the webinar, for note-taking. PLEASE NOTE: ADOBE CONNECT WEBINARS REQUIRE FLASH PLAYER OR THE ADOBE CONNECT ADD-IN TO VIEW OUR WEBINARS, or TO ACCESS THE RECORDINGS POST-WEBINAR. If you continue to have problems, try a new browser. We recommend testing the link and your access prior to the first webinar. Through July 30th, NASA webinars are available to members, guests and the general public. StartingAugust 1st, NASA Presents Webinars will be members-only with invited guests from the trade and our partners. Chianti and Chianti Classico...NOT the same thing. Chianti and Chianti Classico...2 wines that are as established in the world as the concept of wine itself. Hailing from the heartland of the Etruscan culture and based on the central Italian king of grapes Sangiovese ("the blood of jupiter"), Chianti has come to symbolize the very essence of central Italian viticulture, agriculture, folklore, tradition and mystique around the globe. Despite its over 800 year documented history, but going back much further, many misconceptions still exist on this fabled nectar of the Gods. It will be our mission and pleasure to clear up any obscurity related to this enological cathedral in a splendid event of tasting, culture and history as we dive deeply into all the details there are to know about this iconic and time-tested appellation. Italy is one of the most Volcanically active countries in the world, especially in Europe. It is also the only country that produces wines on active live volcanoes. Volcanoes have moulded, shaped and influenced the civilizations of this ancient country since the dawn of ages. One must only think of the Vesuvius or Etna as an example. Wine is no less influenced by these majestic and intimidating children of geology and Italy boasts some of the best and most peculiar vineyards in the world, cultivated on highly particular volcanic soils on the very slopes of these fire breathing mountains. These are some of the most unique wines in the world. Join us for 3 hours of specific geology, terroir, ancient culture and wine tasting of some of the most representative volcanic wines, as we do a flight across the enological products of man, nature and fire to understand how Italian volcanic wines have set a new unparalleled standard of personality. Learn the difference between BASIC VOLCANIC and ACIDIC VOLCANIC, how the wines behave from these 2 terroirs and what are the appellations built through history on these pseudo-lunar environments. Led by NASA Vice President & Director Of Education, Diego Meraviglia.